The Project for the Application of Law for Fauna in the Republic of Congo (PALF) has been fighting wildlife crime and corruption in the Republic of Congo since 2008. 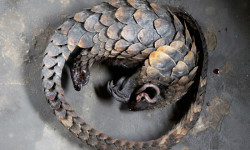 Their strategy is to increase the risk of coming against the law for wildlife crime and to end the sense of impunity held by wildlife criminals in the Congo. 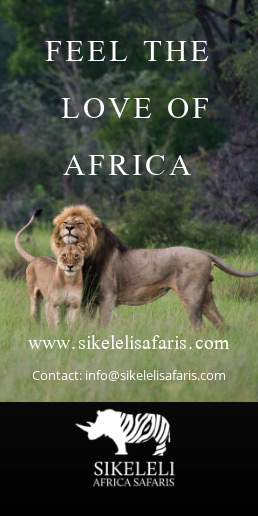 In this way PALF is assisting the Congolese government to work towards better application of wildlife laws in the hope of discouraging poachers and illegal traffickers from undertaking these crimes against nature. 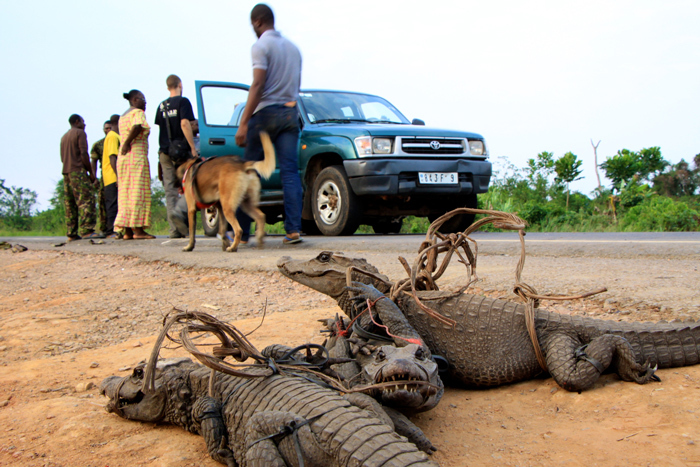 Crocodiles and turtles are released after the PALF dog team sniffs them out in a road block.